There’s a new foodie destination in town, and it’s like nothing you’ve ever seen. Welcome to NYC Le District, a massive gourmet French food playground that you’ll get absolutely lost in. 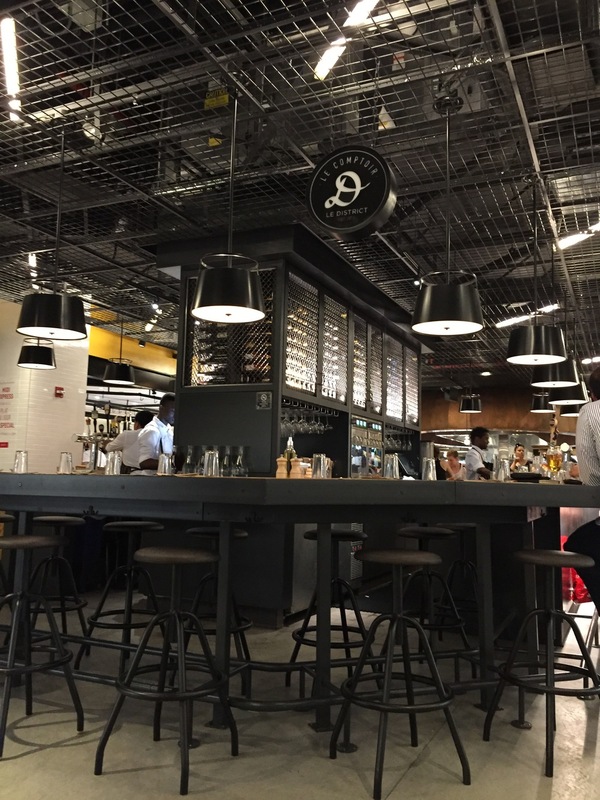 It is similar in size and style to the well-known Italian marketplace, Eataly, boasting specialty food stations with fresh and prepared foods, two restaurants, a bar, as well as casual dining seating but with a modern, classy French vibe. 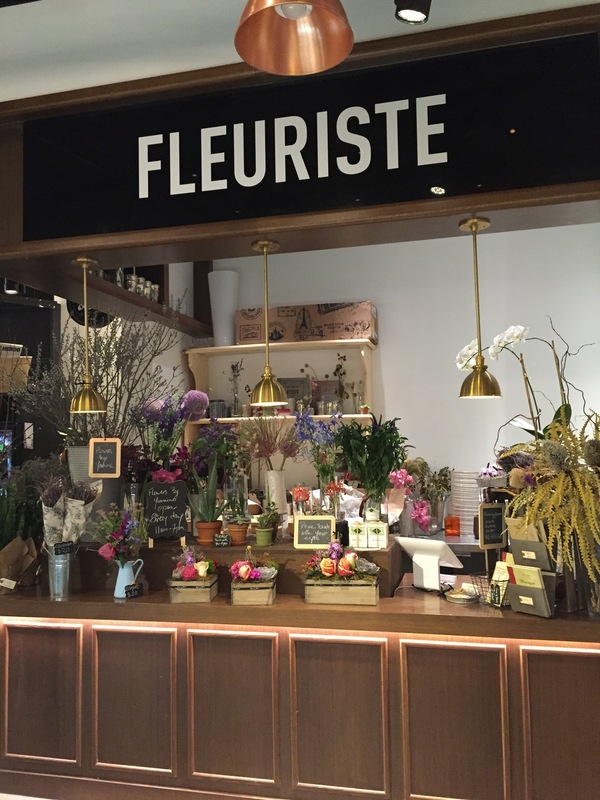 Located at Brookfield Place in Downtown Manhattan, this bustling gourmet food hall offers a bounty of French-inspired cuisine ranging from imported coffee and pastries, to fresh produce and handmade pasta and sauces. They also offer a vast array of other imported items including French-made condiments, gourmet salts, cheeses, specialty meats, fish, and charcuterie. Owner Peter Poulakakos and his partners opened Le District in the Financial District, which has seen a revival with the opening of many new businesses, shops, and restaurants at a steady pace. The newly built September 11th Memorial and Museum has also attracted more tourists to the area, making this a prime spot to open a gourmet food market. They have created a French cultural dining experience with a community feel, similar to the small local markets you would find in France, except with specialty areas for customers to experience and explore all under one roof. The newly designed space is massive, divided into four separate “districts” or marketplaces within, and employed with many chefs, bakers, waitstaff and counter staff. There is definitely something for everyone — whether coffee and pastries, a sit-down 3-course upscale dinner, a quick sit-down lunch, an after-work cocktail, or grab-and-go gourmet fare. This is where you’ll find all the delectable coffee, pastries, and classic French treats, just as you would find at a sidewalk café in Paris. The Patisserie offers crepes, croissants, cakes, cookies, and of course, the lovely French macarons. For the chocolate lover, there is a selection of truffles, nougats, toffee, and more. Pair any sweet treat with a cappuccino or café au lait to perfect the café experience. The Market District is made up of a variety of specialty stations throughout creating an interactive culinary experience. It includes a fromagerie, rotisserie, chartucerie, boucherie, fleuriste, poissonerie, and ‘le comptoir,’ where you can taste wine and imported cheeses with seasonal oysters. The Market District offers everything a true gourmand could ever desire: freshly baked bread, specialty meats, organic poultry, fresh seafood, prepared foods, and classic French items such as steak and pomme frites, crepes, tartines, soups, and salads. This section has all the fresh produce and gourmet delicacies like herbs and spices and packaged goods. It has a wine shop, juice bar and salad bar with gourmet salads, prepared foods, and daily-made, French-inspired fare such as Beef Bourgignon and Gratin Dauphinois. You can also purchase coffee by the pound or to go at the Grain de Café along with takeout sweets and snacks if you’re on the go. Inside Le District are three restaurants, all very French but each is unique in feel and atmosphere. Beaubourg is a traditional brasserie with indoor and outdoor seating – very French but also very “new” New York. Stop in and sample some oysters and fresh seafood or a cheese and chartucerie plate for starters. You must try the French Onion Soup and Croque Monseiur with La Salade Beaubourg, made with mesclun greens, warm goat cheese, smoked duck ham, toasted walnuts and herbs de Provence dressing. They have a lovely French wine and beer and cocktail list too, of course, and if you visit between 11 a.m. - 3 p.m. on weekdays, you can get a 3-course Pre Fixe meal for $29.95. For dinner, they offer daily specials and a larger menu, and they also offer a Saturday lunch and Sunday brunch menu with weekend specials. 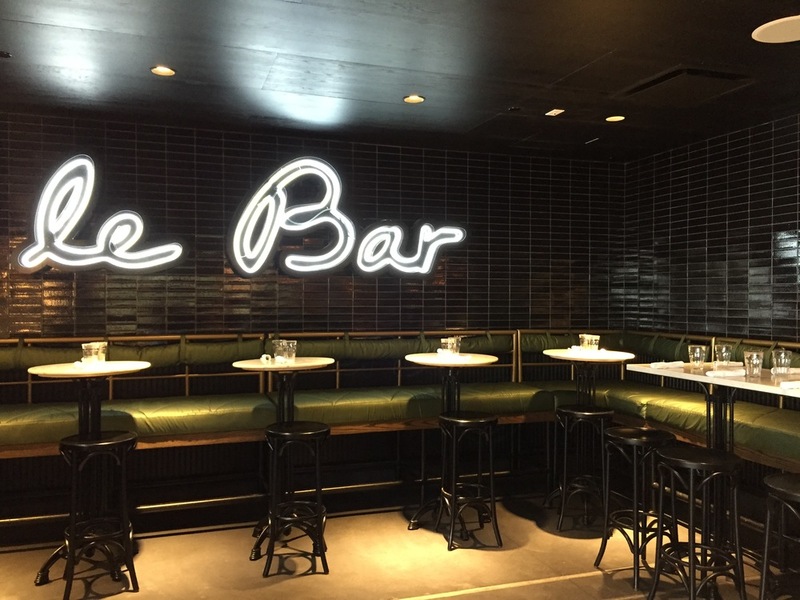 Le Bar is a casual, swanky cocktail bar offering crafted cocktails, wine, and small bite appetizers from the Beaubourg kitchen. It's also great for stopping in after work for happy hour, or with a group for a private party or special event. L’Appart is a 28-seat chef’s table featuring a seasonal tasting menu and chef’s counter where you can watch the chef make your meal right at the table. Recently opened in June 2015, this is a unique idea for a large party with a group of friends where you can have the whole place — and chef — to yourselves. 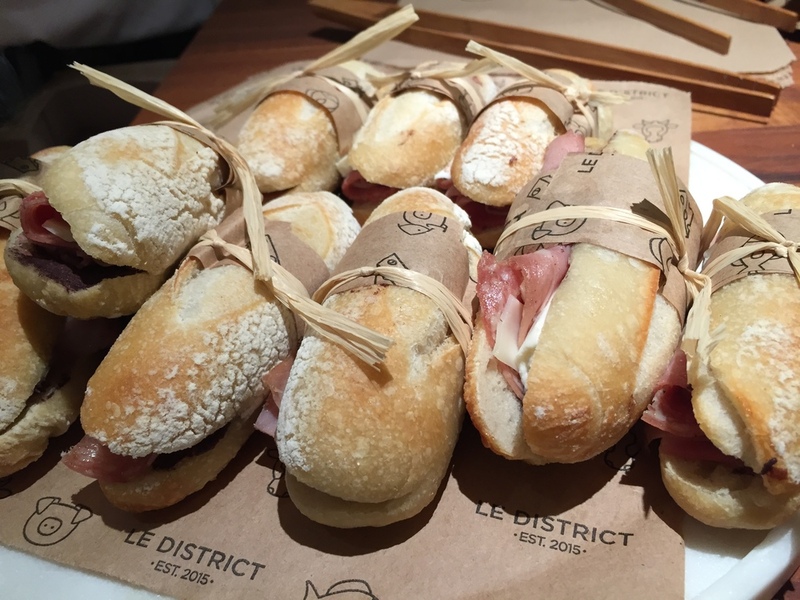 All of Le District’s fresh offerings are sourced locally and the food is prepared daily in their kitchens. A majority of the packaged foods are imported from France and other areas of Europe to offer unique items that are hard to find here in the U.S. This is definitely a culinary playground that you don’t want to miss next time you’re in the neighborhood or visiting NYC. Be prepared to eat, drink, and shop to your heart’s content — French-style, of course. You’re Pouring That Beer All Wrong!